Responsible politicians cannot act in solipsism, ignoring Realpolitik. Of course they had the democratic legitimacy to try out a socialist economic model, but they should have covered their asses before challenging the neo-liberal world economy. State sovereignty here or there, power politics do exist and cannot be ignored. In other words, if Chavez wanted to challenge the U.S., he should have taken measures to survive the predictable countermeasures from Washington. One does not simply provoke the continent’s hegemon, expecting somehow to survive unscathed. Chavez and Maduro should have had contingency plans, a plan B, a plan C, to address the consequences of a financial blockade. Back in 1970 President Nixon had clearly told Kissinger that he would not tolerate an alternative economic model in Latin America and that the Chilean economy would be made to scream. It is not wise to rely on international legal norms and treaties on freedom of trade, since these norms are difficult to enforce, and meaningless to a hegemon that does not hesitate to play hard ball and break international law when it suits him. See Pompeo’s reaction to last weeks decision of the international court of justice telling Washington to lift certain sanctions against Iraq. The U.S. has flouted the Icj in its judgments on Nicaragua, on the LaGrand brothers, on the Avena deth penalty cases. And the U.S. does it in total impunity, and with the acquiescence or connivance of many other states. Here lies the principal responsibility of Chavez and Maduro-to ignore Realpolitik as the leaders of Melos naively did during the Peloponnesian war in the fifth century BC, when the Athenian general reminded them of the basic rule of power politics, that the powerful do as they want and the weak suffer as they must. Responsible for the aggravation of the economic crisis brought about by the fall in the price of oil are those inside and outside Venezuela who have conducted an economic war, those who have hoarded foods and medicines, only to release them to the black market at exorbitant prices, those who have speculated on the currency, those who have engaged in smuggling of subsidized food and medicine to Colombia, Brazil, even Aruba, those who have imposed a financial blockade on Venezuela, those who have made it nearly impossible for Venezuela to borrow, issue bonds, etc., those banks who have closed the Venezuelan government accounts, or who refuse to transfer payments to or from Venezuela, those who impose sanctions and penalize banks and businesses for doing business with Venezuela. Besides the United States, the governments of Canada and of European States bear responsibility for the deaths of Venezuelans from malnutrition or who have had no access to anti-malaria medicines, to anti retroviral drugs, insulin, etc. It is a disgrace that some Venezuelan opposition leaders actually demand more sanctions from the United states, in full knowledge that sanctions kill. Those in the “international community” who shout “humanitarian crisis” and demand humanitarian intervention are estopped from so doing if they, like the U.S., Canada and the European Union are major contributors to the economic crisis through the sanctions and other forms of non-conventional warfare. Ex injuria non oritur jus. Yes, there is scarcity of certain foods and medicines. yes there is hunger and malnutrition. But no, there is not yet a humanitarian crisis as we know them in Gaza,Yemen Syria, Mali, the Central African Republic, Haiti, etc. The use of this terminus technicus is to make a military “humanitarian” intervention more palatable to world public opinion, to make a blatant aggression for purposes of “regime change” somehow acceptable, legitimate if not exactly legal. Hyperbole does nit enhance our ability to analyse objectively. The solution to the economic crisis requires good faith on all sides. The Venezuelan government is responsible for the well-being not only the Chavistas, but of all the Venezuelan people. Concessions must be made. The business sector must feel secure enough to revitalize the economy. But the hoarding, sabotage and smuggling must end. And if the international community has any genuine interest in helping the Venezuelan people, they will demonstrate international solidarity, terminate the economic war and lift all sanctions so that Venezuela can freely sell ils oil, gold, bauxite, coltan, etc., so that it can freely buy foods and medicines, so that it can operate as any other State and not be handicapped by thoroughly artificial constraints. 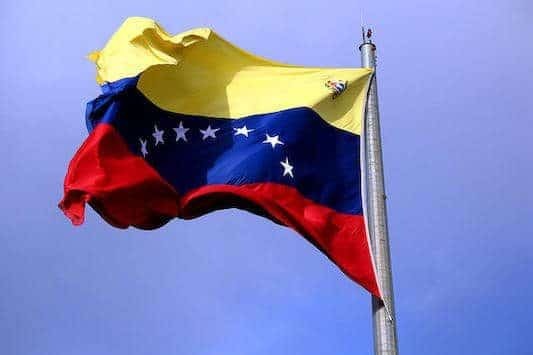 The current Secretary General of the Organisation of American States, Luis Almagro, has overstepped his mandate by recognizing Juan Guaidó as the interim President of Venezuele. Not only is it ultra vires, beyond his mandate, but it entails grave violations of the OAS Charter itself. The former UN High Commissioner for Human Rights Zeid Raad El Hussein issued two reports on Venezuela, both of them without legal basis, i.e. ultra vires, because they were not asked by either the Human Rights Council or the UN General Assembly. GA Res 48/121 which created the HC’s mandate, does not authorize the HC to pick and choose arbitrarily what reports to present to the Council. Worse still. Both reports are fundamentally flawed, methodologically inacceptable, because in violation of the fundamental rule of every researcher, of every investigator: audiatur et altera pars. Both reports are woefully one-sided, relying on information provided by the opposition and systematically suppressing the information and statistics provided by the government and by numerous non governmental organizations including Fundalatin, Grupo Sures and the Red Nacional de derechos humanos. This information was given to the HC personally in Geneva and provided to his staff. As I subsequently learned from these and other ngo’s, this information was nowhere reflected in the High Commissioner’s reports. The reports are thus a form of “fake news”. And when I requested to be personally received by the HC both before and following my mission, I was nor received, not even for a briefing, and when I requested substantive support from the Venezuela desk at the OHCHR–help that every rapporteur is entitled to receive–it was denied, thus substantiating a consistent pattern of bias and lack of professionalism. By contrast, my report, which does have legal basis, and which I wrote after consulting all pertinent information and reports from Amnesty International, Human Rights Watch, the HC’s reports, the reports of the IACHR, etc., after conferring personally with members of the Venezuelan opposition, Chamber of commerce, churches, diplomatic corps, professors, ngo’s etc., after listening with respect and objectivity to all sides, was largely ignored, because politically incorrect. There was no discussion on my findings and recommendations, certainly no rebuttal–that would have given the report too much attention! See the comments thereon by the government of Venezuela–in particular paragraphs 45 and 46. Alfred Maurice de Zayas (@Alfreddezayas), also known as Alfred de Zayas, is an American lawyer, writer, historian, and a leading expert in the field of human rights and international law. de Zayas became a staff member of what was then the United Nations (UN) Division of Human Rights in 1981. After 22 years as a UN lawyer he took early retirement in order to teach and write. From 2012 until April 2018, he was the UN Independent Expert on the Promotion of a Democratic and Equitable International Order (also known as Special Rapporteur), appointed by the UN Human Rights Council. He blogs at Alfred de Zayas' Human Rights Corner.